Makeup By Meggy: Giveaway Winner Announcement! 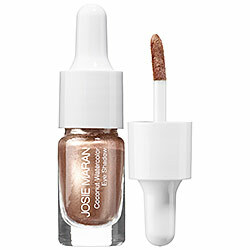 My giveaway for a Josie Maran Watercolour Eyeshadow has come to an end and the winner has been chosen. As my giveaway was run through Rafflecopter, Rafflecopter itself chooses a random winner. I'll be contacting the winner directly. Thanks to everyone who entered and more importantly, thanks to everyone for putting up with my lack of posts this winter while I worked on my thesis. I promise this summer will be full of beauty related blog posts from yours truly. And remember my next giveaway is coming up as soon as I hit 300 Bloglovin' followers. I'm really close so make sure you're following!